You might remember my post last week about the playroom, well the first thing I knew that needed to get done was address the wall. As I had mentioned before the kids playroom is open to the main hallway and due to the size of the room and the overall space painting more than one wall was not going to be an option at this time. Since painting was out and wall covering costs close to an arm and a leg, the idea of stenciling the wall made the most sense. 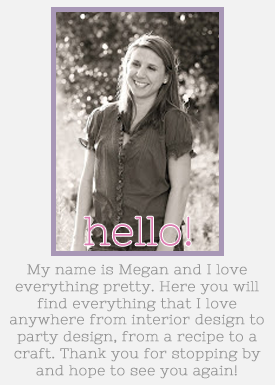 I first learned about Royal Design Studio while at SNAP Conference a couple of years ago. Although I have used a couple of their stenciling since then I was thrilled when Royal Design Studio kindly offered to let me review one of their stencils. One thing that I love about Royal Design Studio’s stencils is that they are heavy, as in very sturdy. I was able to stencil the whole wall with just a little bit of blue painters tape holding the stencil. No bleeds! The trick of course is to not use too much paint. You will be surprises that little paints goes a long way. Royal Design Studio provides instructions with their stencils (see above photo) as well as lots of great tips online. They have an amazing selection of stencils online and it’s very reasonable priced. I think it took me longer to pick a stencil out than to stencil the wall itself. Finally I settled with the Polka Star Stencil. A fun pattern for the girls’ playroom. The best part once I am done with the stenciling that wall I can always reuse the stencil to create artwork or other fun projects like stenciling kraft paper for wrapping gifts. 1. Make sure you start from the middle of the wall, rather than a corner. I made that mistake and now one corner is a little off. The sad part, a whole star will not fit there and I will have to either live with it like that or just place the stars close together. 2. A little paint goes a long way. Do not over saturate your brush/roller with paint. It’s better to do two coats of less paint, then one coast with too much paint and have it bleed. Here is the update on the playroom. Keep in mind, it’s not done yet. I love how the stenciled wall turned out! It changed things dramatically. It provides an added fun pattern to the mix. I am thinking of continuing the star pattern to the left, where the wood signs are to make it flow a little more and add the stars in the corner even it they would be too close. As for the rest of the playroom, you will have to come back and see.